It was good to hear from you guys. You all look very different. Elder Curtis and I had a great Christmas. I didn't take any pictures, I'm bad at that. You will have to tell everyone thank you for me. The ward and family and friends were very nice to me. Church was nice. 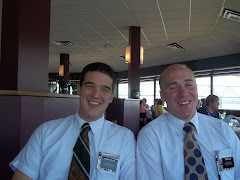 Due to all of the zone stuff that had to be dealt with it was only the second time that I had been to the ward here in Ankeny, and the first time that I had been at Elders Quorum. I still struggle with learning everyone's names. 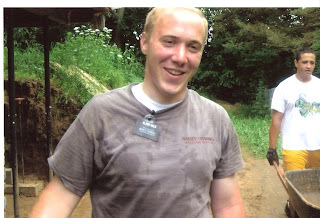 There is only a couple weeks left of the transfer and I feel a little under pressure to get to know everyone if Elder Curtis does leave the area. 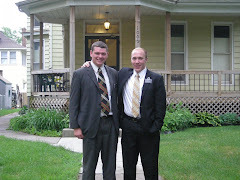 The other day Elder Curtis and I tracted into a less active member's home who had just moved into the area. She is a single mother with 4 daughters. Her daughters are not members so we have been teaching them for the last week or so. Two of them are interested in listening and possibly baptism, but we are not sure yet. I think that is the latest and greatest that has happened to us. This week has been really slow with Christmas and the mission wide bi-transfer interviews with President. With the new year approaching Elder Curtis and I are going to start a new diet as of Jan. 1. During the last couple of weeks every one has given us so many holiday favorites, so we are going to purge our systems with a good old magnesium flush to get us started, its a popular missionary diet starter. Sorry about Monday, there have been some big things going on in the zone that Elder Curtis and I needed to take care of, so I didn't get a p-day until today. This last week has been really crazy. We had to take care of some emergency exchanges last Wednesday with two companionships in the Ames area. The last week we have been back and forth between Ankeny and Ames to cover both areas and to get everything straightened out and packed up. It's been very stressful. This last week I have discovered a grey patch of hair that just showed up, so don't make fun of me when you see me on Skype. We haven't had much time to work in our area. Everything either got canceled or rescheduled until after Christmas. I did get your Christmas packages yesterday. Elder Curtis wanted to open a gift last night so we both opened one. I opened the new family picture. Everyone looks like they have lost weight. Melanie you look so grown up, I can't believe how much you all have changed. No worries family, Christmas is going to be awesome! President has given everyone the option to sleep in until 8:00!! I didn't see that coming. So we are going to have a great morning. Then the Cox family invited us to come over and have homemade waffles and open our presents with them, which will be fun. They are a huge, energetic family. President has also allowed the missionaries to watch a movie, "Its a Wonderful Life", so we are going to watch that with them as well. I don't think that I have seen it so that will be cool. Then after all that is done we are going to go over to the Price's house and skype so I think that it will be around 12 maybe 1 o'clock? around then some time. So sleep in, enjoy the morning, get a cardboard cut-out of me and put it on the couch. I've received some awesome packages and cards from a lot of people in the ward and friends, so I just wanted to say THANK YOU SO MUCH!! It's great to have so much love and support from everyone. p.s. Sister Jergensen said thanks for the Christmas card. She loved it. I have no idea when I will be making "THE CALL", but I'll let you know when I do. We have found a member's home that has Skype, but we have yet to get all the details worked out. Elder Curtis and I have been so busy the last couple of weeks planning exchanges, zone conference, training meeting, interviews and a zone emphasis. We aren't going to have a regular week until after Christmas, but I'll put it on my to-do list this week. I received a package from the Wagners this week. I already opened the presents that were in it. I'm glad I did, it was some winter gear. Thank you so much Wagner family!! This week was a busy one, we had zone leader council on Tuesday, and leadership training meeting Wednesday through Friday. Then we went on exchanges with the Ames district leader. We haven't had a lot of time to focus on our area, but when we were here the weather was awful. Saturday night there was a huge blizzard and all the cars were grounded, but we did get to go see a less active member within walking distance, along with a little tracting. Sunday morning church was canceled, and our only appointment for the day rescheduled, so we tracted for the day. I recorded the weather man onto a tape for you guys, so you could know how cold it was..."5 degrees, brisk wind" and took a picture of ourselves in out winter gear and I looked like the kid from off the "Christmas Story", I wore every layer I could. We do have a baptism date though, his name is J. He a golden investigator who is about to get married to a member. His fiancee was less active, but she is now coming back to church. His date is for the 15th of Jan. Every thing has been going great for J and the baptism until this week, his fiancee showed some concerns. She said that she is not sure this was the path that she wanted for them, (regarding being active in the church). She feels like she doesn't have a testimony and is not sure if this is right for the two of them. So now we have some things to work on. Well, here I am again, just been transferred and had a baptism on Saturday. It went real smooth. 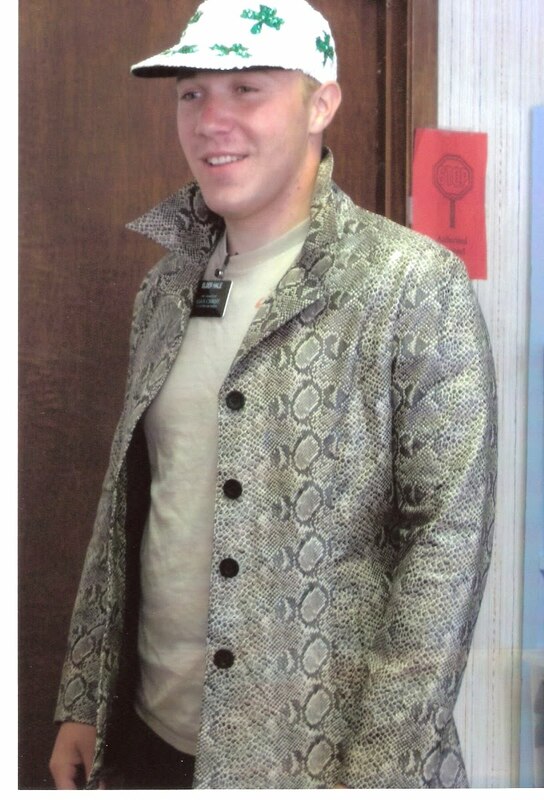 His name is J and he is a 18 year old guy who was introduced to the church by a member. His family are not members but are very supportive and were touched at his baptism. We are going to try to start teaching his parents this week. Ankeny is so different from the rest of the mission. This town reminds me of Anthem / Scottsdale mixed together. Its a very new and fast growing town with very wealthy, established people living here. I'm still in culture shock. 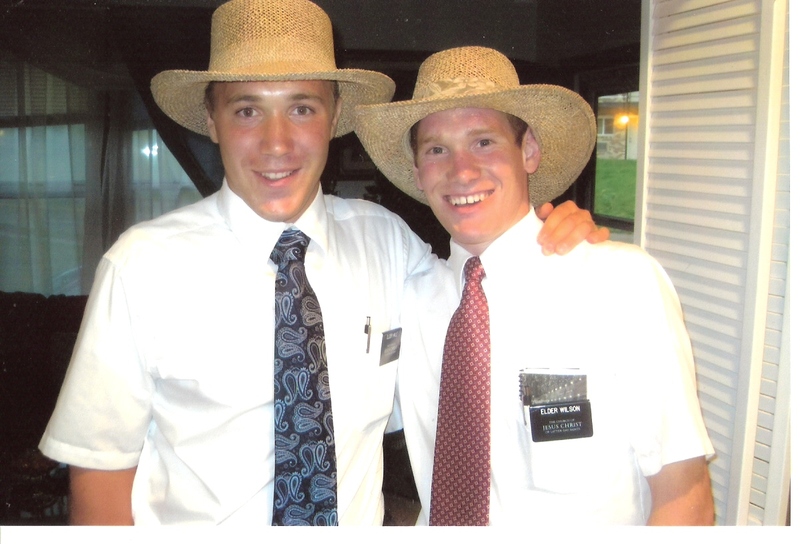 My companion is Elder Curtis. He's way solid and is really showing me the ropes of the Zone Leader thing. There is so much more to plan for. We planned for almost 2 days last week to get every thing set up for the transfer and to get out goals established for the zone. Yesterday we had to give a presentation the the Stake Presidency at a missionary coordination meeting. I now have a greater appreciation for Stake Presidents and Bishops. There is so much that goes on behind the curtains to run the church. All and all every thing is good. The ward is HUGE! 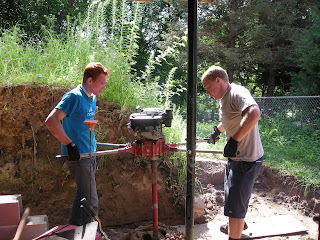 and they are very very helpful and engaged in the work. It reminds me of a ward at home or a ward in Salt Lake. The members are awesome, and actually played a prank on me last night for being the new guy, I'll have to tell you another time. I didn't get your letter last week. Elder Noel should forward it to me soon. I have some things that I was thinking about for Christmas, mainly books. Ill get it to you next week. P.S. I can Skype for Christmas, so you will have to get that connected and up and running!!!!! So I hope you got my Christmas card, it should be there by now. I also sent off a package of some books, letters from home, and some old movies from around the apartment that we don't use any more, just hang onto the books. I want to read them when I get home. The reason I am sending you a box is because I am getting transferred. Tomorrow morning I have to be in Iowa City. I don't know where, or who my companion is, but I did get released from being a District Leader and called to be a Zone Leader. I'm a little nervous. Being a district leader almost wore me out, but we will see how this new calling goes. All the elders in the district are mad that I am leaving. Elder Franz, in particular, is upset because we have become good friends and I will miss Elder Noel and Elder Wilson. 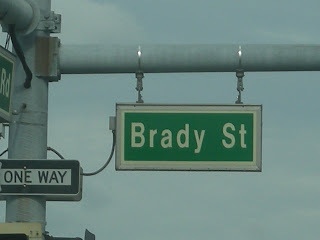 So no worries on packages and letters, just hold off until Monday until I can get you my new address. This week has been sooooo cold. Last night we were tracting and I just don't remember last year being so cold. I put on all my layers and the wind was still getting through. So I now get to miss out on D's baptism, I'm a little sad about that. This letter was probably all over the place but my mind is a little boggled at the moment. p.s. I'm going to try and sent those pictures you wanted in this e-mail. Hope you can work with that. Yea, I cut my own hair, and its short! This is Brady and his companion, Elder Wilson, with his mission President from the Peoria, Illinois Mission, President and Sister Erickson. The mission was dissolved earlier this summer and Brady is now part of the DesMoines Iowa Mission. 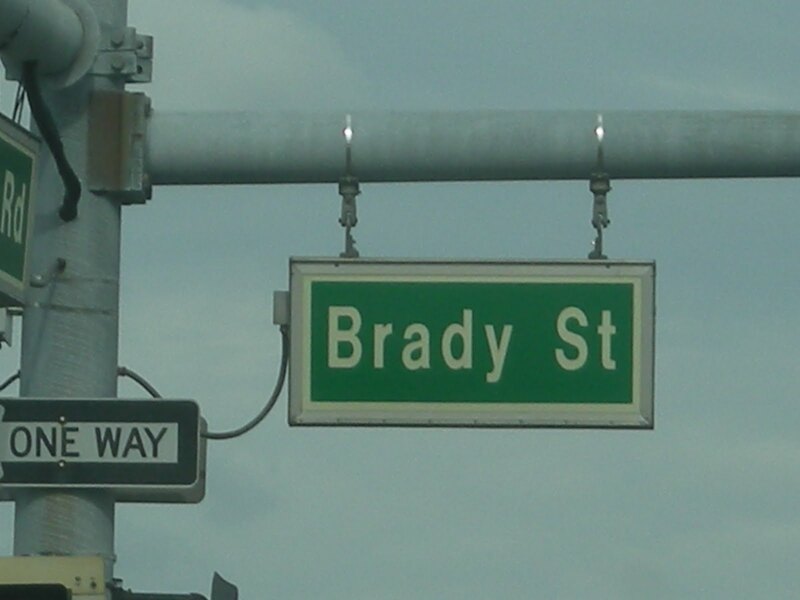 Brady seems to do an awful lot of hard manual labor for his service work. Here he is roofing and digging out a basement. 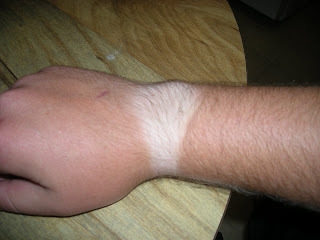 "I'm working on my watch tan." "It looks like I'm digging like a girl in this picture." Transfers will be on September 9th. We will receive a call Saturday night, September 4th, if one of us will be leaving or not. But you have to remember next week's p-day is on Wednesday, September 8th, so I won't be writing to you until then. To answer your question, some of the pictures that I sent you are from Elder Wilson's camera, so they are not on my memory card. The pictures that I did print out I wanted to write some stuff on the back of them. So that's kinda the system I've got going on. The last week has been awesome. Saturday Elder Wilson and I got to go to the through the Nauvoo Temple with Bro. and Sis. 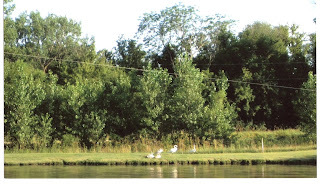 Tingley. Bro. Tingley wanted to go to the Temple with us before I leave and President let us go so it was awesome. Since I've been here I've been blessed to go through that Temple 3 times. Its GREAT, once with all my companions. Since Elder Wilson has never been to Nauvoo before, we went to a number of bookstores, old town Nauvoo, the Bakery and the Blacksmith shop (dad I got some pictures don't worry) and of course the fudge shop. It was a awesome spiritual feast which ended in a feast. On the way home Bro. Tingley called ahead for reservations at a restaurant. We didn't know they were going to feed us or anything. So we get to Davenport and we ate at Texas Roadhouse! It was so good. Fresh Iowa beef is superior to all other. On the other hand the work is pressing on. We were able to meet twice with M, the lady I told you about last time. At the first appointment we were on splits and so it was me and Bro. Clarke. When we started she had addressed her concern about prophets. She thought that it was the most unheard of thing to have a man on this earth today receiving revelation for the world. So we started talking about how there has always been a prophet on the earth shown in the bible up to the time of Christ. Then the whole conversation was turned to prayer how she could find out for herself. She felt like her prayers were empty when she said them. So Bro. Clarke bore a solemn testimony for like 15 minutes about prayer. Then I committed her to say a kneeling prayer every day that week and also asked her to say a kneeling closing prayer. It was great she was so moved by what the spirit had told her. Elder Wilson and I went back on Sunday to teach her more about prophets and why we need them today. We found out that her neighbor (who is a Jehovah Witness) came by and anti-ed her about us. I was a little worried about it but when she continued on about what she thought, she feels like what we teach and what she felt is what she is looking for in her life. The spirit is definitely such a blessing to have right next to the Book of Mormon, it truly is the most powerful tool we have for conversion. LB's baptism was supposed to be this Saturday the 4th, but we found out that he is on probation until December. And the rule is that we cannot baptize until his is off probation. So when we found out, it just crushed Elder Wilson and I, and we weren't sure how to approach him about it. But at our last lesson this week with him we told him that we will have to move the date until he is off probation. He was a little upset that he had to wait, but he then said that he will have more time to prepare and read the Book of Mormon, and for us to come by and teach him. He is so willing and ready to be baptized, but we have to wait. But his 12 year old daughter all of a sudden is interested in listening to the lessons and wants to come to church. So if we can get his daughter baptized we think that this will give him added desire to look forward to his baptism. p.s. I got the packages you sent me and a couple of letters, Thanks. We had a sweet week this week. 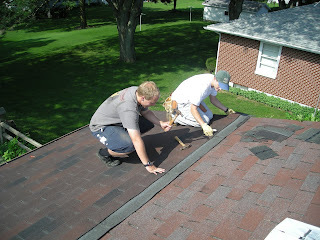 We were blessed with a chance to do some service to a potential investigator. Her name is M, we were in her neighborhood the other day and thought we should stop by. We had set up a couple appointments to come and teach her, but they fell through. We stopped to see her, and she was in a panic. She has a low spot on the side of her home where rain water collects real bad so a while back she had some dirt delivered to level it all out. 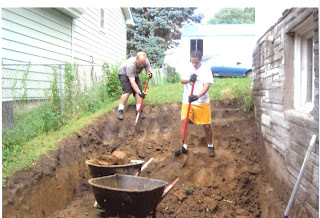 The men that were supposed to come by to level out this huge pile of dirt never showed up. She had just received a notice from the city that she had 5 days to move this "nuisance" (I think that's how you spell it) off her lawn or she was going to be fined. She has no money nor the ability to do it, and she was just in tears with the question what she was going to do. We said that we would come by in the morning and take care of it all. So we shoveled for a few of hours the next morning and got it all taken care of. She was just in shock that we would even consider helping her even though we barely knew her. She didn't even think that we were going to come back in the morning. She kept asking why, why we do this kind of thing for people, why we are on a mission, why we offer service and help people. We just simply told her that we loved her and help out anyone in need. She was pricked to the heart just receive this simple service. We were able to set up a teaching appointment after we were all done. Yesterday she called us before the appointment and told us to come over to dinner instead. So we did, and we got to meet her boyfriend and were able to get to know them more, as well answered all the questions she had about the church. We now are going to go back this week and teach her more. We have been so blessed with service to open the door to teaching some one else about Christ. 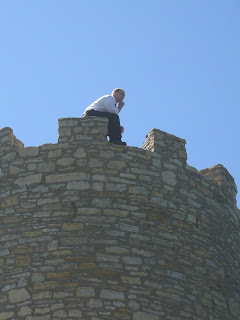 We had Stake conference in Davenport yesterday, we had 2 investigators there. LB is the man. He's one of our newest investigators. 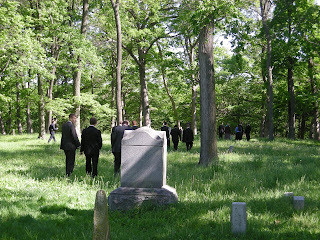 He was there and we were able to go to the recent convert-investigator class before the meeting. He liked stake conference. One of the reasons he went was to see Elder Wilson and I sing in the choir, so he gave us a hard time about that. We were over at his house on Saturday teaching him about the Plan of Salvation. He told us before we got started that he had read that morning in the Book of Mormon, so we asked him if he had any questions about it, and how he liked it. He stated, "I really like Nephi and the way he talks. It's easy to understand him." He then told us that as he was reading, something hit him. 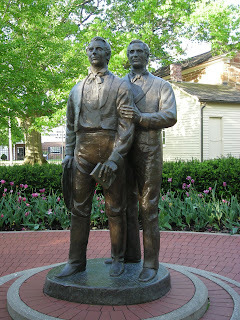 In his own words he said, "I had a revelation about Joseph Smith. It just all came together that he had to be a prophet. If he wasn't a prophet, the church would not be here today. It would have all fallen when he died." How incredible, here is a man that has been seeking, and praying about the truth. He had the spirit touch him, and he recognized it and now is coming closer to Jesus Christ. What a testimony builder this week to the words of Moroni in 10:3-5. I love being a Mormon, where else would you have something like this happen, what a blessing. 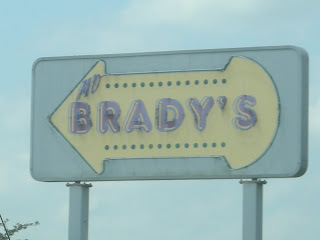 "Mo' BRADY'S . 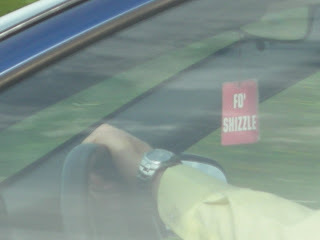 . . in Davenport"
"We were on the highway and I saw this air freshener in this guy's car so I had to get a picture." "We found a sweeet jacket and hat at our service work at the Benevolent Society. He had to try them out." 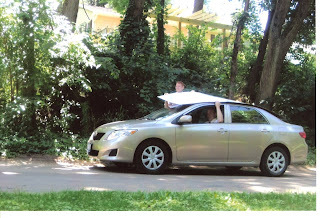 "We got a white board at Home Depot for planning and it did not fit in the Toyota, so we threw it up top and hung onto it all the way home." "It was raining bad after an appointment to an investigator gave us some hats to wear to keep our head dry. We just had to get some pictures." "District Meeting in Clinton. 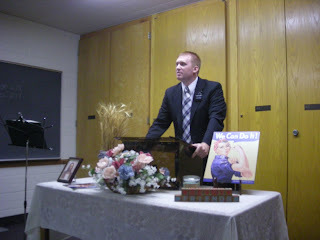 Elder Wilson and I set up the table for our District Leader using Relief Society decorations." 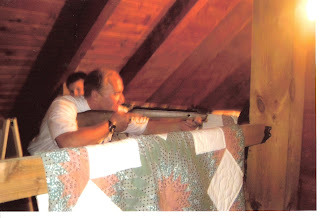 "All those days with a pellet gun in the backyard paid off. 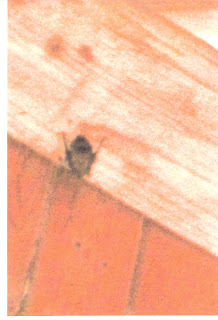 A bat got in the Near's house and Sister Near gave me a pellet gun to take it down, I only needed one shot!" "Companionship Unity (note the safety galsses)"
We had some ups and downs this week. We have an investigator, L, that had committed to baptism a number of weeks ago that has not been coming to church, this last Sunday was a make it or break it to stay on track for baptism. We reminded her of her commitment the night before at her appointment, but she did not come to church. We were pretty bummed but on the other hand we had a different investigator, LB, show up to church. He came with his daughter, who is 11, and stayed the whole time. He and his daughter loved it. They are planning on coming to stake conference this Sunday so he can hear Elder Wilson and I sing in the choir. We also had a lesson with him Sunday afternoon and watched, Joseph Smith prophet of the restoration DVD, you know the new one that the church put out. He loved it and felt the spirit there in his home. We committed him to baptism on the 28th of this month, and he was excited about it. Its going to be great, in order to fully prepare him we'll be at his home twice a week teaching. We have only 2 weeks left but we felt we needed to commit him then. He truly is a humbled man who was prepared by the Lord. Our recent convert, D, is doing much better. We have met with him a couple of times and took him to 2 teaching appointments. Last week he wasn't feeling accepted at church any more so we have been visiting him often. 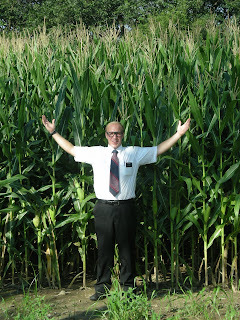 We just found out that on September 22 we will be hearing from Elder W. Craig Zwick, of the Seventy. That's always sweeeet to hear from one of the brethren. Elder Wilson and I are pushing the work here very well together. We have our differences at times, but there must be opposition in all things or we wouldn't know how great we really have it. I sent a package home this week, and I hope you got it. It had a ton of pictures for you mother and a couple of tapes too. And I also received a package from Grandma, she truly knows what missionaries need. This week has been a little bit different. 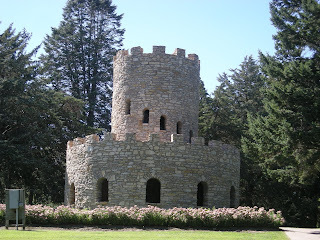 For 3 days, I was in Des Moines for a training meeting. It was all the Zone leaders, District leaders, trainers and of course the AP's. It was awesome, the church has changed some of the ways we learn out of PMG. Its called "Simplified curriculum" It is absolutely great. The way we use PMG has now been more concentrated in certain principles along with these PMG dvds, which are video clips of real life teaching situations. It was awesome how much more we can do to bring the spirit into our teaching. And I just love President Jergensen, he's like every body's grandpa. He's always giving hugs to everybody and just so lovable. I got a lot of things answered in training that I had questions about the past couple of weeks. You can't believe how much the PMG video clips really helped me and I can't wait to get those into district meeting and with training Elder Wilson. We have a baptismal date with our most solid investigator, Lakina (I thought it was spelled Lakeena but I was wrong). She loves us so very much and we are teaching her 2-3 days a week. After this training meeting I committed her to read the Book of Mormon cover to cover and to my surprise she has been reading every day. The only thing is that we cannot get her to come to church. She commits Saturday night and we call her in the morning and even went over and knocked on her door, but she has not come yet. She has her agency, and I don't want to take that away, but it is so hard to see some one prolong their baptism just because they won't wake up in the morning. Our most recent convert, Donald is having some problems. We just found out yesterday that he doesn't feel accepted any more at church. This week we are going to change that, with a dinner appointment and also a branch party that is on Friday. 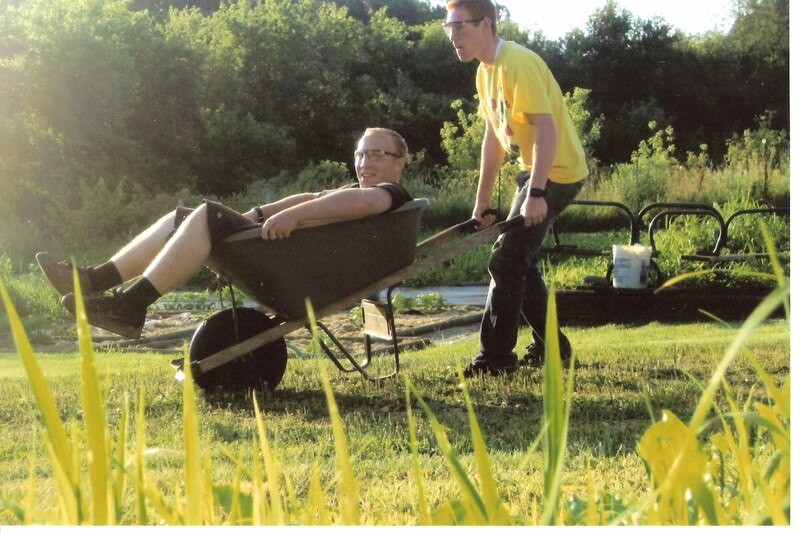 It's just great to be a Mormon, there is always something to be doing. We visited the primary on Pioneer day! P-day got moved to today because of transfers. On the 6th week of the transfer, p-days are now moved to Wednesday and transfers are moved to Thursday. So anyway, I am staying here in Clinton! I did not think I would be here another transfer, but now I will be here until September, I'm going to see all four seasons. The last couple of days I have been getting pictures with the members, just in case, and have been telling them that I might go. It's weird to see how attached you can get to an area. This place feels like my home here and everyone at church is my family. Everyone was telling me that they are going to miss me and I can't go. Bro. Jones wanted to call president and make me stay if I was going to get transferred. Lakeena cried when I told her that I might be leaving. It's just crazy to see how much love there is in missionary work, and I LOVE IT. There is nothing else I would want to be doing right now than this. Working with the spirit for a full time job is the greatest. I do need another pair of dickies shorts, I ripped one of mine during service the other week, but just make sure that they are size 36. Ive got some cool pictures that I'm going to send home soon and a couple tapes (probably next week). This week has been a great one getting to know President and Sister Jergensen a little more. 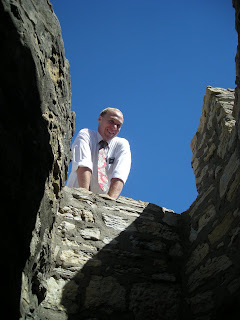 We had interviews with him, I thought it would be hard to get to know the new mission president, but I already love him. Elder Wilson has become accustomed to tracting so, we have been doing that a lot more. He's now taking over the planning every night to plan what we will do the next day, so we are beinning to tract some of the outside communities around Clinton, such as Cammanche and Albany. 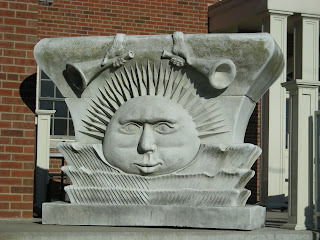 Both towns are a little more receptive to us rather than Clinton, they are much more friendly-er. For the last 3 days we have had youth with us all day long. It's a program the stake does every year. They were awesome, but I think we really wore them out. They kept falling asleep at appointments, it was so funny. Elder Wilson had a great time with the junior missionaries. He lead out real well and actually came and told me at the end of the day that he felt bad for me because it was really hard to go to an appointment when your companion says nothing, so now he's working on sharing more when we go to appointments. We got to go the the fireside and hear all of them bear their testimonies. It was great. It's good to hear that you guys are safe at home now, must have been a long plane ride. As for transfers, they wont happen until the 29th so send anything you want. I won't know if I'm leaving until the 28th though. Most likely what I think is going to happen is that I will be here for another transfer trainning Elder Wilson until the 1st of September, but I'll let you know. 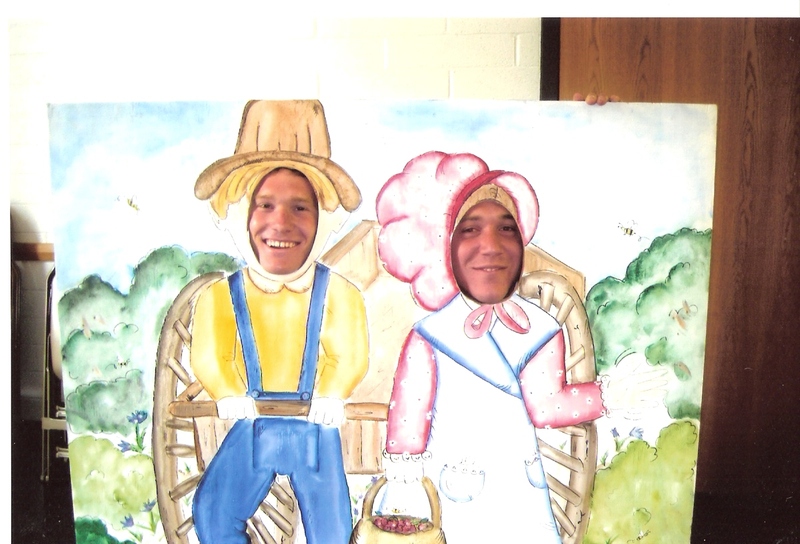 So Elder Wilson and I have been working so hard this week to help the Nears get everything ready for the Pioneer day activity. It was held at their home so we have been over there a lot doing all the chores around the house. The Nears said that out off all the missionaries they have had over the years, we here the hardest working ones. It was great to hear that from the members. But we invited everyone to go to the activity. We had 11 investigators show up! Some friends of some other members came so we had 13 non-members to the activity. It was so crazy trying to run around talking to everyone and introducing them to everyone. 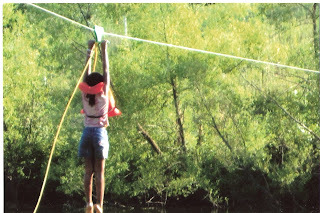 This is the zip line platform we helped build. A storm took out the tree it was originally hooked to, so it was rebuilt into a full platform. The kids dropped out into the pond. 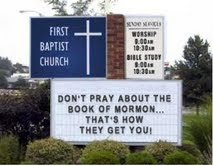 And yesterday we had 2 investigators come to church and 1 foof (friend of other faith), so 3 non-members, it was great! 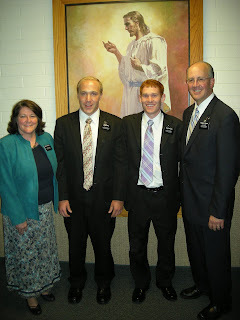 We also had zone conference this week and met the new mission president, President Jergenson, he is from California. We have interviews this week with him so we can start to get to know him better. A couple questions, Did you guys get the cd with the slide show on it? And do you know about the tax return money, I need to get a new shaver so let me know when that comes. And I got the girl's package, thank you so much, the peach rings did not make it I have to tell you, but I love all the other stuff you guys got me thanks! Yea this week went by really fast! This week would be the last week of the transfer but since we are merging with Des Monies we have 2 more weeks added onto this transfer, so its going to be a long one. I hope the trip is going well for you guys, it sounds like Tom set up everything real nice for you two. Its been a hard week, I let Elder Wilson take over our planning every night, so he wanted to go tracking all day every day, so that's what we've been up to most of all this week. 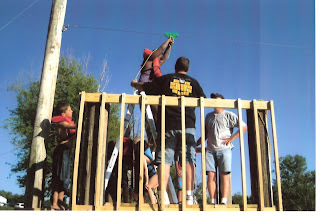 Saturday morning we re-roofed a house for a members son and then we went over to brothers Near's home to help build a plat form for a zip-line that is going to be for the pioneer day activity coming up this Saturday. I got so sun burned and was wiped out when it was all said and done. We had a lot of appointments lined up this week but little went through as usually with missionary work. But we did get to meet with Angela, and at the last minute Bro. Estes invited us over to teach her at his home. So we went over the restoration again, since it has been a long time, but after the lesson Sister Estes and Angela hit it off. By the time we left they had set up a time to go to the movies together! They said that she was opening up a little more. Angela is really quiet and doesn't talk much, but she will surly listen to what we have to say, and she even said she felt something! That's huge, for the last couple months she said she never feels some anything when we are there or are teaching her so its a huge step in the work here. Lakeena had surgery on Thursday, so we have been going over every day to see how she is doing and if she needs anything. She is a single mother and lost her job, has 4 kids, and is scared of what the future holds for her. We had a appointment to go and teach her Saturday with a member, but the member fell through, so I ended up making cookies and taking it to her. She loved it and now we are trying to get her to come to the pioneer day activity this Saturday! Its going to be awesome. This week has been a hard one. It's been a little frustrating with my companion and all of our investigators. We had 3 days that were booked with appointments back to back, and all but one of them would fall through each day. Mitch still hasn't been back to church. We called him the day before because we had an appointment, but he wasn't there, so we reminded him about church and he said he would be there, but he wasn't. We actually had 4 people lined up to come to church, but no one shows up. Its really crushing as a missionary. We met a woman last week, Angela, who we tracked into and gave her a great lesson on the porch. We were able to set up an appointment at the church for the stop smoking workshop we teach. Even with a SSW the spirit was there. We then taught her the plan of salvation on Wednesday for splits and then taught her the restoration on a church tour and extended the baptismal commitment. We set a date up with her for June 26th, and she said she would be at church, but she wasn't. I keep thinking that no one is progressing because of my teaching, but I'm inviting and that is what my purpose is as a missionary, so we'll just keep on trying. This Saturday we will know if I'm getting transferred or staying another one here in Clinton. But I will not know until next Wednesday where I'm going . . . if I am leaving, that is. p.s. Are you feeding the missionaries in the ward?...often? just making sure. Yeah, I got the shirts last Monday, they are the right size neck wise but they are the tall ones, so I tried one on and it looks like I put on a lab coat. They are a bit big so I'm going to send them back and write a letter if they could sent the same shirts but regular, not tall. Thanks mom. And I will be sure to get a picture with Elder Thurman. Did you get my package? I sent it last week so it should be there soon. There really are not many good pictures in it, I'm not good with that kind of stuff, but there are some that you could use for the blog. Well, President Ericson has asked of all the missionaries to go through all of the former investigators we have in the area book and visit with them by the end of this transfer. He has also asked us to give a hard baptismal commitment to every sit down appointment we got to. This is all because of a big push we have to hit our goal of baptisms by July 1st before president leaves. We have a huge stack of formers we are going through and have been busy. We only have 2 more weeks left of this transfer so we are running around. We now have three people that have committed to baptism this week, Mitch, Justin and Kiara. Mitch and Justin are very solid commitments, but we are not sure how committed Kiara is. Mitch has been getting a lot of anti against joining our church from his other pastor. He has now lost a sponsor for his fighting because of it as well. But we were talking with him and he is so solid about the decision he has made, he even had a guy training in his gym and we walked into the gym to see how he was doing and this guy started yelling scriptures at us and giving us a hard time. Mitch stood up for us and kicked this guy out of his gym. There was also another fighter training that we don't even know that stood up for us, it was great. So this week was awesome, Donald got the priesthood last week and we passed the sacrament with him at church. Things are going good, here in "Clintonia". It was great hearing about everything going on. I felt bad I didn't even get to say Happy Mothers Day! But I'm glad every body is doing good. I'll get the package sent out asap for you. I was starting my study in Preach my Gospel this morning and was going to ask you if you would send me a picture of Lehi's dream, the new one, the one that was hanging in Melanie's room. I like that picture a lot. But as for things needed, I'm really doing good right now once I get the shirts. Ill check when I get home if they are there. A couple more people have dropped us. Shana and Eduardo dropped us. They left their house and told their neighbor to tell us that they did not want us stopping by any more, weird. And Catherine and Eric have found a different church to go to and are not progressing so we have to drop them. Jordan and Aneda, we had a baptismal date lined up for them, but they moved and turned their phone off, so they are still lost sheep. We have been doing a lot of follow ups and a lot of new finding to open increase our teaching pool. Mitch did not come to church yesterday so we now need to reschedule his baptism date. Amanda has been canceling her appointments with us the last 3 weeks so we haven't been able to meet with her for a long time, but tomorrow we have a time set to meet her and have a member coming with us. We have been able to meet with a guy named Justin and he seems very open and sincere about the gospel. He actually has been reading and had many questions. The only thing is that he lives with his mom and she is becoming more and more hesitant about us. Elder Thurman and I have been bonding really well and have adjusted our selves to each other's teaching nicely. He's a real knowledgeable guy and has been helping me learn things daily. I forgot to tell you that yesterday. I really am ok on just about every thing else. But a package of socks wouldn't hurt. Thank you so much for all you do for me and I LOVE YOU ALL! Things are going good here in Iowa. I hope this card got to you before Mother's Day. I tried my best to get it out. It still haven't put together my package yet. I know you're waiting for it. In due time . . .
And he was commanded to study! It's just me, every morning. This is my tracting face. 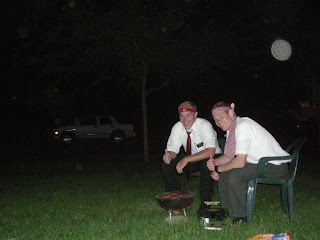 Yea, on Sunday I'll probably let Elder Thurman use the phone first, so I'll probably call around 6 your time. I'm guessing all of this, they don't tell us any sort of information until the day before or the day of. But right after this e-mail, we're driving down to Davenport to have Zone p-day with everyone and then we are spending the night there too because tomorrow we are having Zone conference in Nauvoo. We're having a huge sha-bang because President is leaving so we get to go to Carthage, then Nauvoo and actually get to tour the place. Its going to be fun. 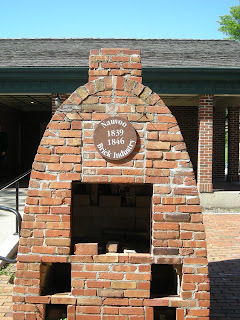 I'm hoping to get me a Nauvoo brick and we get to go to the book store! 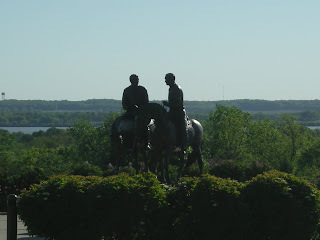 I'm thinking about getting a old school Book of Mormon because I dont know if I'm going to be in the Iowa or Missouri mission, So I'm not sure if this is going to be the last time I'll get to see Nauvoo on the mission. I haven't got the shirts yet, I think they might have been sent to the mission office in Peoria so if they are there I will have a chance to pick them up tomorrow. I'll let you know if I got them. Dad was asking about Quinten and Melissa. They are doing great, the Estes family has really become friends with them and plans all sorts of cool stuff with them. Quinten just got a job at a plastic company here in town, but he works third shift, so its hard to see them through out the week, weekends really work out for them. They have 3 girls I'm not sure on the names - one is Dakota, I'll try to remember the others. Mitch has really become our main focus though. He wasn't able to come to church yesterday, but he is still on track for baptism on May 21st, he's a stud. This week we went on splits with the AP's and with the district leader, its been a sweet week. Elder Thurman and I have been getting along and have had more time to adjust to how we both teach. It really takes a few lessons to get used to how someone else teaches. I was going to write a letter and send a package off this week but I didn't have time to put it together. We had transfers this week so Wednesday we had to travel to Peoria, Illinois. I got a new companion, Elder Thurman. He's been out a year this week so he's more versed than Eldredge was. I keep getting companions from Utah though. 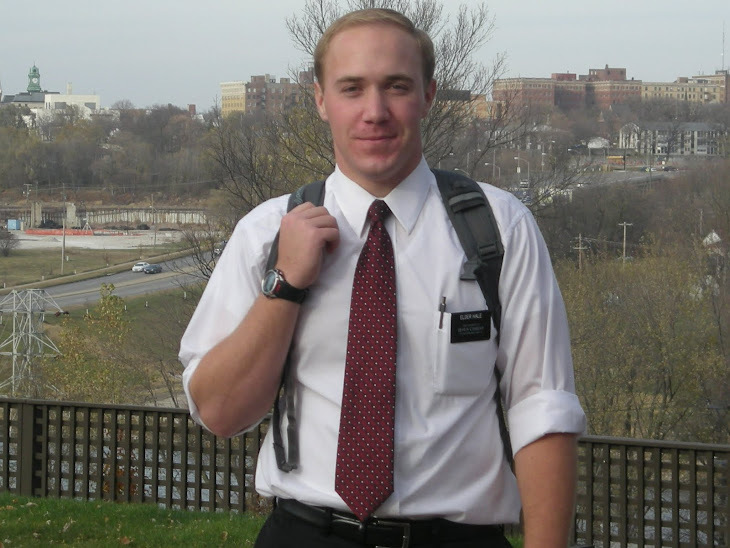 Elder Thurman is from the Provo area. He's excited about the area with our big teaching pool, but we have already had to drop a few people. Laisha had dropped us. She didn't keep her last appointment and then we went into her work to go and set something up again, but she is just not interested. Is weird because we have really taught her everything all with a member present and I know she has felt the spirit, so it was a little disappointing. We had a appointment planned for Amanda yesterday in a member's home, but just like last time, she texts us 2 hours before the appointment and cancels. It seems like a lot of our investigators have lost the desire to learn. But Mitch is solid. We set up a baptism date for him on the 21st of May. He came to church yesterday and was telling every one about his baptism and he liked the meeting. He's planning to come next week and has gone cold turkey with chewing tobacco. So we are excited for him. Thank you for the shirts, I haven't received them yet but I'll keep an eye out for them. On Mothers day, I don't know for sure but it sound like after 7 pm I will be calling so that's like after 5 pm your time, I think. We get to use our cell phone so that's why we have to wait till after 7 for the free minutes. Oh I wanted to ask you if you had any information on the genealogy I sent a little while ago? The one I got from a member the had some Hales in her family.